We had a fun week of learning how to take care of our earth. We went on a walk to clean up trash around our neighborhood. 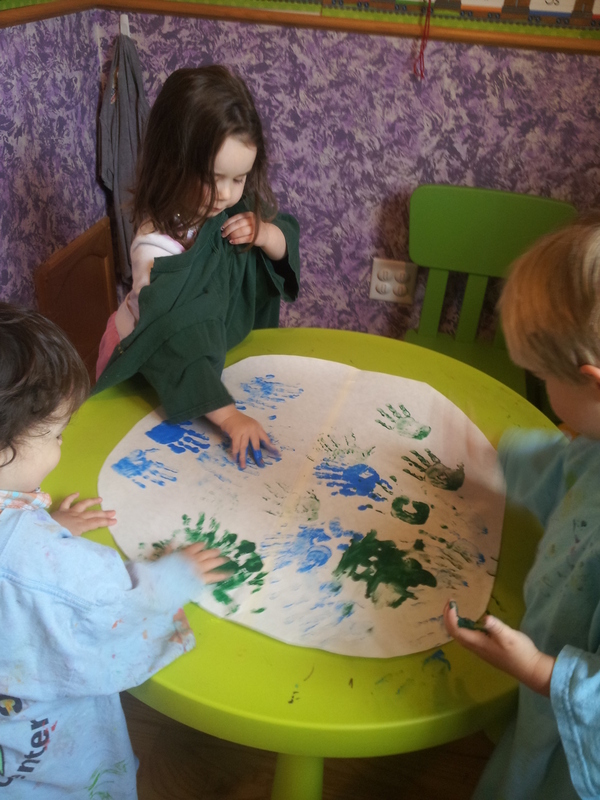 We cut out a big circle and then we painted our hands blue and green, to create an earth. 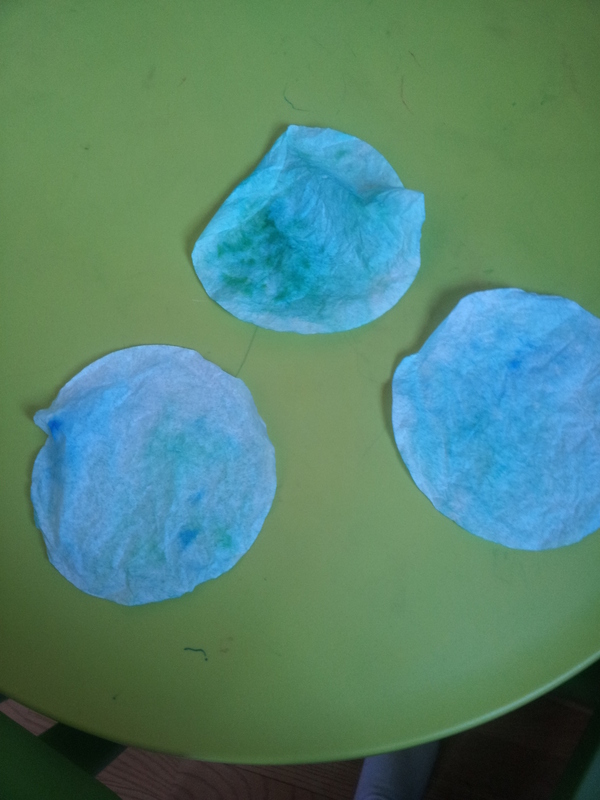 We colored a coffee filter blue and green with markers and added a little bit of water to it. We saw the colors spread into each other, we created another earth. 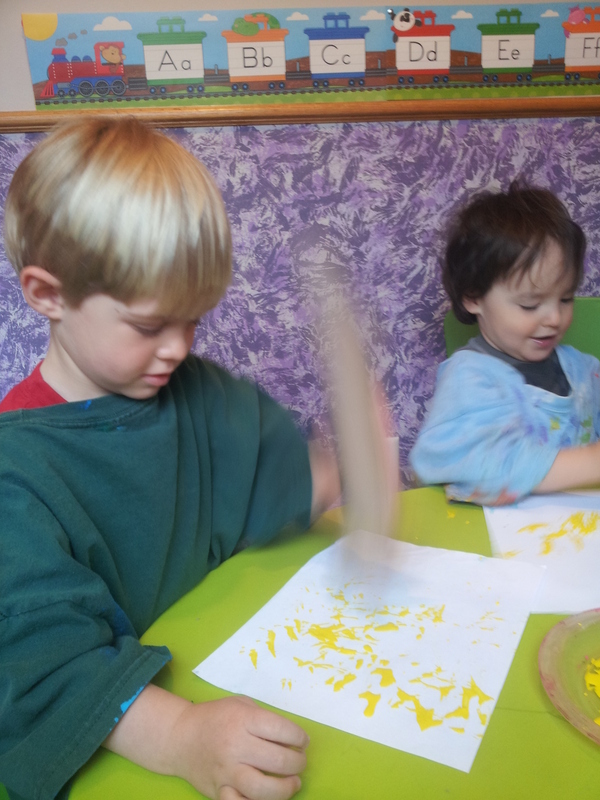 One of our friends brought in paper towel tubes and we cut the ends of them them to make our own design, afterwards we painted with them. 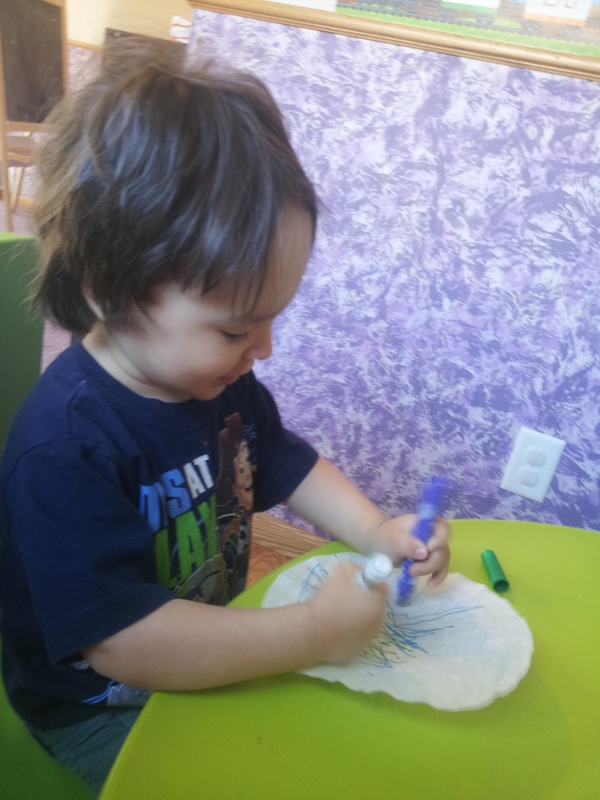 I collected tin cans to paint and then we made drums out of them. We made a bird feeder with cheerios.